The deadline for the nomination of presidential candidates for the election in December has expired. 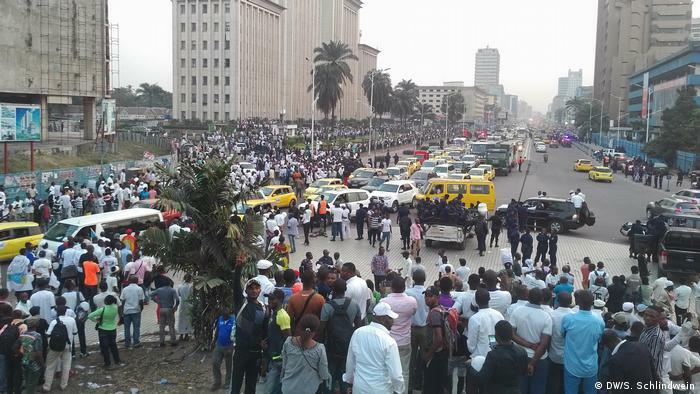 President Kabila is no longer occurs. But now, the Congo is faced with the question: war or peace? It was the moment of truth. 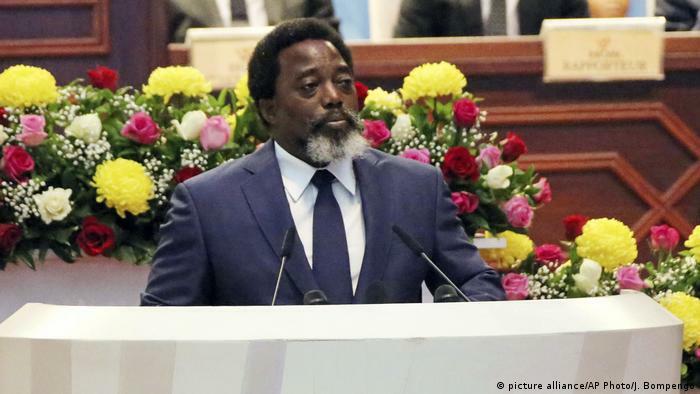 Until shortly before the expiry of the deadline for the submission of the presidential nomination in the Democratic Republic of the Congo, it was not clear whether President Joseph Kabila, a self-departure or a successor to the race. His second term of office has expired for 2016 – a third is not up to him according to the Constitution. However, new elections were targeted and deported. Only in the last few months of an election date is fixed: the 23. December 2018. The whole country held its breath, as a government spokesman Lambert Mende on Wednesday afternoon (08.08.18) in front of the press joined. As a nominee, he announced that Emmanuel ramazani was the photographer Shadary, Ex-interior Minister and Secretary General of the ruling party, the PPRD – Kabila’s second husband. Kabila himself is not more so. But Shadary is not regarded as a strong man: He was devoted to Kabila’s always been faithful, does not have its own power network, and no influence in the military. Government spokesman Mende highlights, Kabila will remain the leader of the new platform FCC (Common Front for the Congo), even after the elections. If we compare this with the Situation in Russia in 2008, when President Vladimir Putin ended term of office, and he let his unassuming sidekick Dmitry Medvedev to the place on the President’s chair behind and to become Prime Minister, then moved to continue the threads – then Shadary for the Congo the perfect Medvedev. The election Commission CENI has now begun preparations for the vote in December. On Thursday, it announced that 23 candidates had been submitted of which 20 are full. According to the CENI spokesman Pierre Mulumba, the provisional list of approved candidates on may 24. August to be announced. Only after a Review by the constitutional court on 11. September the final list published. It continues to be exciting. 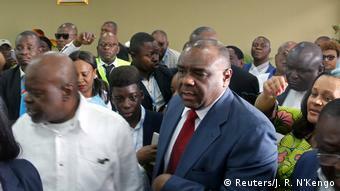 Because of the influential opposition candidate to Kabila’s power clique, Jean-Pierre Bemba, was present at the time of filing of his candidacy last week, no voter card. As these were issued in the Congo, sat the Ex-Vice-President and former rebel leader still in the high security jail of the International criminal court in The Hague. 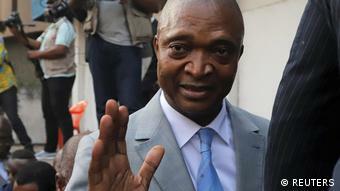 He had only been in June acquitted and flew directly into the Congo, his choice to submit documents. Whether or not he is authorised, is open. Another rival to Kabila, Moise Katumbi, was not only let into the country. As the nomination period ends, the chief candidate of the opposition platform, “Together for change”, and Ex-Governor of the mineral-rich Katanga province on the border between Zambia and the Congo and not come in. The reason: He has a court case pending, the police threatened with arrest. Katumbis followers to protest on the other side of the closed border, the police responds with tear gas and shots. Experts fear that it could come instead of elections to a renewed war. The signs are alarming, says political scientist Pamphile Ngoma, because Kabila had only reformed a few weeks ago, the army: “He has forgiven new Items, new generals, who now remain in Power and not the end of a regime want to seal the deal.” Ngoma believes that these generals will incite the many militias around in the war-stricken East of the country, a Rebellion to start. Kabila could then remain as the top military leader in the office to lead the war. For Congo’s youth movement LUCHA the election is now a debacle, you don’t want to be a part of, LUCHA representative Enoch Nyamwisi: “I don’t think that we will go to the election with all the irregularities,” he says. It is feared that the new voting machines could be used to manipulate the result, and on the voter lists of fictitious persons. Nyamwisi does not believe that these problems will be resolved before the election – “with Kabila or without”.